Ireland's leading up-and-coming young racing driver, Niall Breen, breaks new ground in 2007 as he takes the big step up into the Lloyds TSB Insurance British Formula 3 Championship with top team Carlin Motorsport. The Dundalk 20-year old dominated the Formula BMW UK Championship last year, taking nine victories and 16 podium places from 20 races. He eclipsed the record of six wins in one season established in 2005 by Sam Bird, who becomes Breen's Formula 3 team mate at Carlin. Law student Breen starts in only his third season of single-seater racing, having finished 11th in his first year of Formula BMW in 2005. The former top karter, who won last year's series with three races to go, aims to become a professional racing driver after he takes his final exams in May. As he joins Carlin Motorsport, Breen follows in the footsteps of Formula BMW champions, Takuma Sato, Alan Van de Merwe and Alvaro Parente when he competes with Carlin in his first F3 race at Oulton Park on April 9. Carlin, which has won the title three times and been F3 runner-up four times, switches to Mercedes power in its Dallara chassis and by doing so intends to maintain its position as the most successful team in British F3 history, with 73 race wins to date. Breen will race in the Championship Class alongside Sam Bird and Mario Moraes. 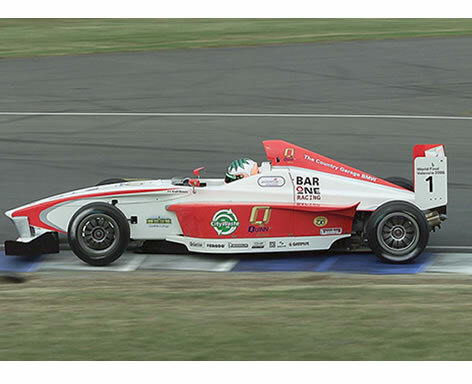 Niall said: “I'm really looking forward to my first season in Formula 3 with Carlin Motorsport. The team has a fantastic track record and the Mercedes engine will make Carlin an even stronger force this year. 'My prize for winning the Formula BMW UK Championship was the F3 test with Carlin in December which went really well and I was really impressed with the team then. I've got 12 days testing before the first race so by the first race at Oulton Park at Easter I should be comfortable with the extra power compared to Formula BMW.